Burning forests alters watershed hydrological cycles by modifying soil and forest cover properties. Researchers found that fires with moderate or high burn severity contributed most to increased river flows, while prescribed fires had little effect on water yield for large basins. 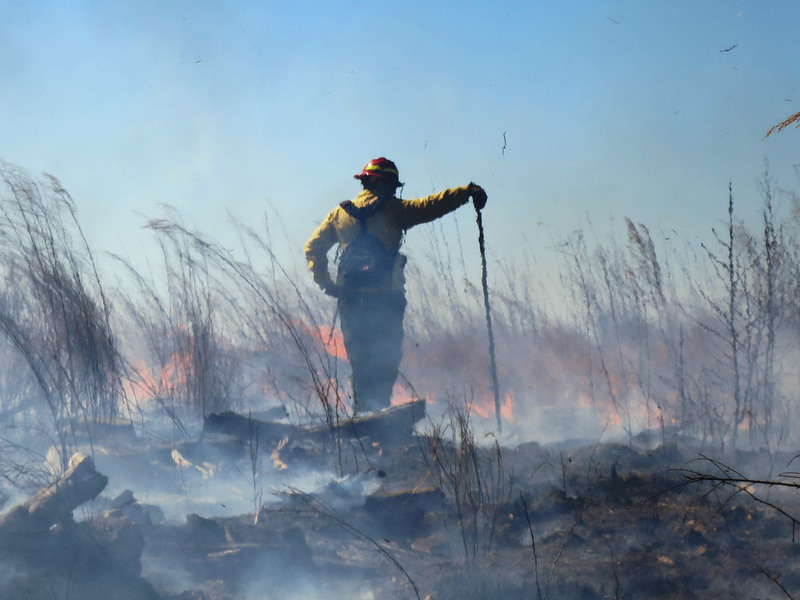 Climate variability, including drought, may mask the effects of wildland fire on water supplies, so effective forest management practices, such as prescribed burning, must consider local watershed conditions. Compared to previous decades, the U.S. now has more and larger forest fires, and their impacts are devastating. In addition to the immediate threat to people and property, many fire effects occur with post-fire rainfall that results in floods, mud flows, and sedimentation in lakes. While the immediate impacts are obvious, risks to the continued availability of freshwater supplies are less visible. Forests and rangelands provide more than half of U.S. water supply, but the long-term impacts of fires, including wildfire and prescribed fire, on water supply have not been measured nor factored into water management strategies. Researchers from the Eastern Forest Environmental Threat Assessment Center and partners developed a coupled wildland fire-water supply risk framework, known as FIWAS, to evaluate critical environmental thresholds for water resources across the contiguous U.S. They discovered that wildland fires can enhance annual river flow in western regions with a warm temperate or humid continental climate, particularly in the semi-arid Lower Colorado. Most prescribed fires have a limited extent and low severity impacts; therefore, climate trends have a much greater impact on river flow where prescribed fires burn in the Southeast. These outcomes, published in the journal Nature Communications, help researchers evaluate the coupled wildland fire-water supply risk and contribute to sustainable land management planning to safeguard water resources in the future.